As the hot summer days begin to cool off and fall quickly approaches, it’s time to trade in your beach beer for a cold glass of hard cider. 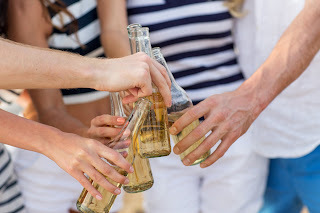 The crisp, refreshing taste of hard cider has made its way into the hearts of many and has quickly become one of the most preferred alcoholic beverages on the market. While there are dozens of amazing cider brands to choose from, nothing quite compares to the feeling you get when you’ve harvested, pressed and watched your apples go straight from the tree to your glass. That’s right—brewing your own homemade apple cider isn’t just a rewarding experience, but a quick and relatively easy one, too! Before you start brewing your homemade hard cider, you must first consider the ingredients and equipment you need to make the process run quickly and smoothly. Keep in mind that the type of apple you choose will greatly impact the overall flavor of your cider. 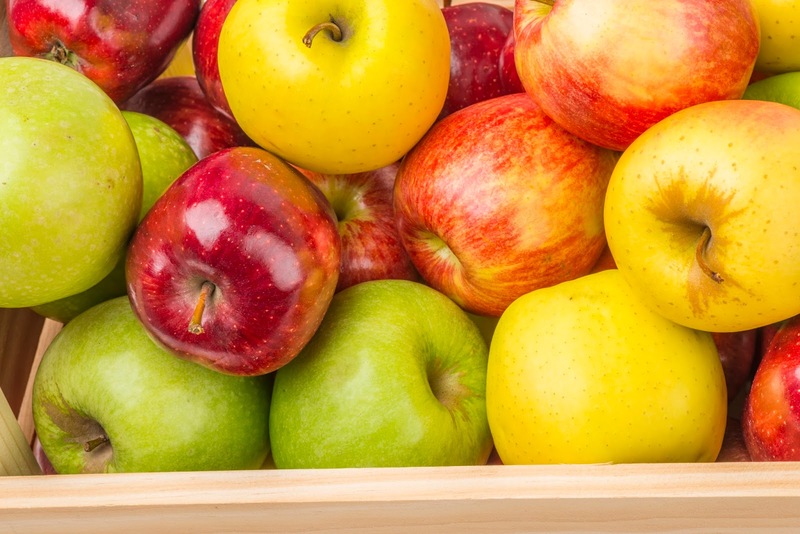 If you want a sweeter flavor, opt for Gala, Fuji, Cortland, Golden Delicious or Red Delicious apples. Looking for a more acidic, tart flavor? Try Pink Lady, Braeburn, Jonathan or McIntosh apples instead! You can also mix and match types of apples to create a truly unique flavor that matches your personal taste preferences. First, clean and mash or crush your apples into small pieces to prepare your fruit for pressing. Purchasing a fruit press, like our Harvest Fiesta Stainless Steel Fruit Press, will be greatly beneficial in the juicing process. To use, simply retract the telescoping base and pour your mash into the basket. Place a nylon filter bag in the basket before loading your apples. Doing so will catch the remains of the pressed fruit and make cleanup much easier once the process is completed. Be cautious not to overfill your press, for doing so will greatly reduce your juice yields. Once you’ve loaded the basket about ¾ full, slide the base back into the center and place a large bucket under the spout to catch the juices. Easily crank the top handle until you’ve pressed the maximum amount of juice out of the apples in the basket. Once completed, retract the basket once again and remove the nylon filter bag. You may move the fruit contents around and give them a second pressing if need be. Transfer your collected apple juice into a jar or container and store away for later processing and fermentation. Check out this video to see the device in action! After you have successfully pressed and stored your juice, consider adding small bits of apple to the mix. In homemade hard apple cider recipes, adding fruit matter to your ciders is often recommended, especially when using particularly harsh yeasts. Adding bits of fruit not only boosts its fresh, natural flavor, but the pieces also act as food for your yeast to consume. Fresh apple matter is always best, but frozen pieces work as well. Freezing tends to rupture the fruit’s cell walls and helps make it easier for more sugars to be processed by the yeast. There are dozens of effective methods of pasteurization. Frozen fruit is typically pasteurized before it freezes, so simply dropping frozen fruit matter into the mixture will do no harm to your brew. However, it is important to realize that you will get much more color, quicker fermentation and more flavor if you blend and “mash” the fruit (whether it’s frozen or not) before adding it into the juice. There are a variety of dry and liquid brewing yeasts that will work great for your home brewed cider, and you can find them either online or in-store at various homebrew stores. Although you can buy specialized yeasts for fermenting cider, dry wine yeasts do an excellent job and are a much cheaper alternative. Before you begin the fermentation process, make sure your fermenter and everything that touches your cool must (“must” refers to unfermented juice) is clean and sanitized. The best and easiest way to do this is to have a gallon-sized vessel (i.e., a bucket or a water pitcher) full of star san, a sanitizer for beer and wine equipment. Pour a small amount of the sanitizer into your fermenter and swish it around, making sure to evenly coat all of its surfaces a few times. Upon completion, dump the remaining star san into a bucket and place any of the small equipment you plan to use in the bucket as well. Heat one cup of water until it boils, and then immediately turn the heat off. After doing this, add your yeast nutrient, let it cool to around 80-100 degrees Fahrenheit and then add pectic enzyme if you wish. Pour the mixture into your clean, sanitized fermenter and transfer the must (pressed apple juice) into the fermenter and pitch your yeast. Use about one packet of yeast per 5 gallons of unfermented apple juice. Remember that too much yeast is better than not enough! Use yeast nutrient according to your package directions (some packets state to use 1/2 tsp per 5 gallons, while others say 1/2 tsp per gallon). If you’d like, use about 1 tsp pectic enzyme per 5 gallons of must. Finally, cover your fermenter and attach a sanitized airlock. Let the contents ferment at 65-75 degrees Fahrenheit for a couple of weeks. Once the fermentation process is complete, you are now ready to bottle your hard cider! Using a hydrometer is the most accurate way to check if your cider is fully fermented. Upon completion, the cider should taste very dry. Keep in mind that if you bottle a cider that is too sweet, it may end up exploding from continued fermentation occurring inside the bottle. Clean and sanitize a bottling bucket and heat two cups of water to boiling temperatures. Once the water starts to boil, turn off the heat and dissolve a priming sugar (corn sugar or dextrose) in the water. You will want about 1 oz per gallon (or 3/4 cup for a 5-gallon batch). Pour the hot dissolved sugar solution into the bottle bucket and carefully siphon your cider into the bucket as well. Fill your cleaned, sanitized bottles, leaving 1 to 1.5 inches of headspace. Cap and leave the bottles in a warm room for two weeks to carbonate. Next, refrigerate the bottles for three to 12 months. 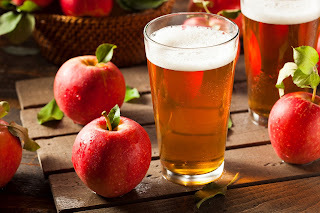 Keep in mind that cider ages well, so give it some time to sit for the best results possible.